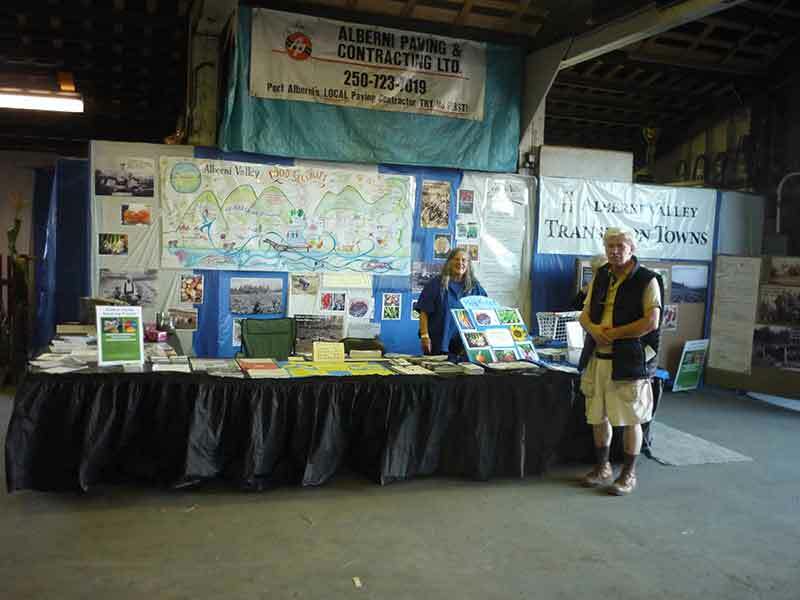 There was a great deal of activity at the AVTTS booth in the Van Iperen Building at this year’s Fall Fair. 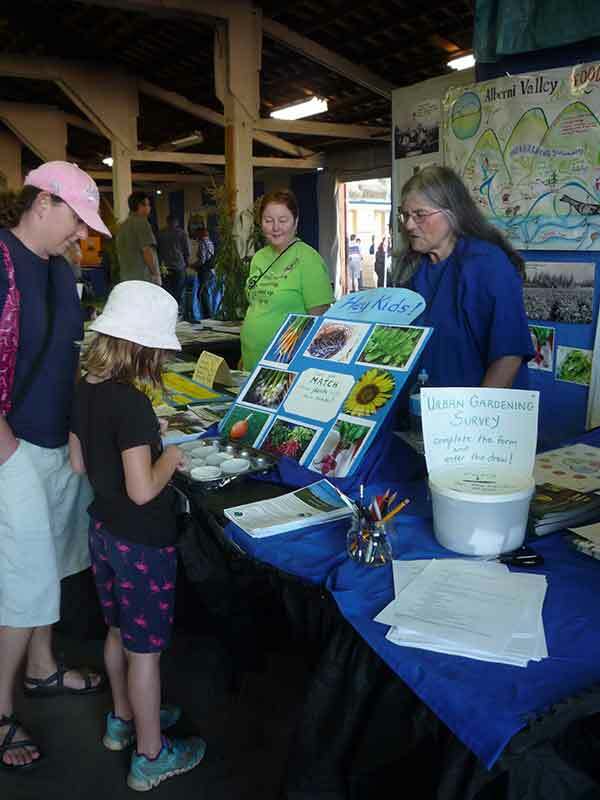 We had a see guessing game, information on gleaning, on AVTTS, on the Seed Library (with the actual library there, courtesy of Vancouver Island Regional Library), on Family Farm Day and a host of lovely pictures documenting farming past and present in the Valley. Sam Brownlee prepared a survey on back yard food production. Several transitions staffed the booth and greeted fair goers curious to learn more about building resilience and community in the Valley. These included Laura, Edna, Sarah, Judy, Samantha, Brent and Dan.